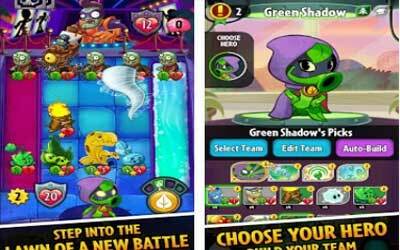 Plants vs. Zombies™ Heroes APK is now available with the latest version 1.22.14. A big surprise comes from the announcement of Plant vs. Zombie’ spin-off game which is serving slightly gameplay, different than the original version. After struggling with Garden Warfare on the console, this time through this game, EA and PopCap Games does not just follow trend of dueling card game that was very popular in mobile device, but also give an interesting classic game. Without losing the battle theme characteristic between plants against zombies that makes it popular, PopCap introduces the game with duel card mechanism. This new mechanism makes it so different from any other PvP card games.